Well, here it is: the next generation of the Nissan Leaf, the Japanese giant's pioneering electric car. 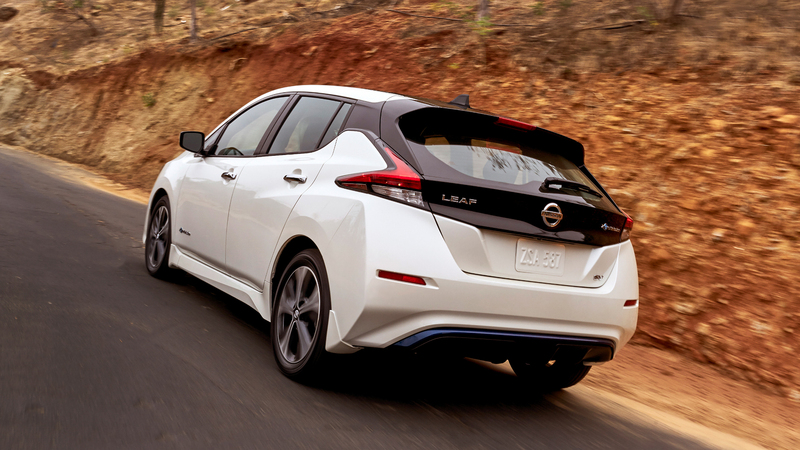 With pressure coming from all sides in the mass-market EV game these days, Nissan needs to make some big strides to stay on top and keep the Leaf's title as the best-selling electric vehicle in the world. Will it beat the newcomers at their own game? Check out all the official information below and decide for yourself. In real estate, it's location, location, location. In politics, it's Florida, Florida, Florida. And in electric vehicles, it's range, range, range. The Nissan Leaf's best-selling status is largely owed to incentives and timing—when the first generation went on sale in late 2010, the Tesla Model S was still a gleam in Elon Musk's eye and Nissan basically had the credible EV market to themselves. But in the years since then, the original Leaf's paltry 110-mile range has kept many potential buyers away, especially here in America with our haphazard electric vehicle infrastructure and rampant range anxiety. 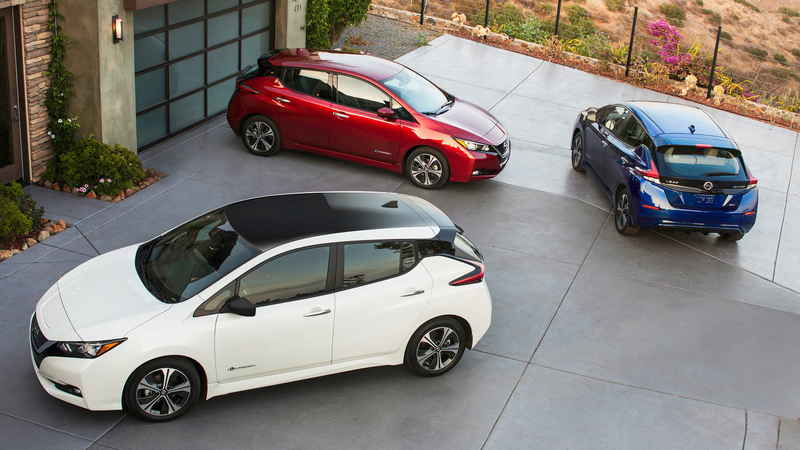 With that in mind, the new 2018 Nissan Leaf is off to a mixed start. The EPA rates the 40 kWh battery at 150 miles on a full charge, while Japan's JC08 test claims the range is more like 249 miles. That's quite a discrepancy, but either way the Leaf still slots below the competing Chevrolet Bolt and Tesla Model 3 on EPA-calculated capability. 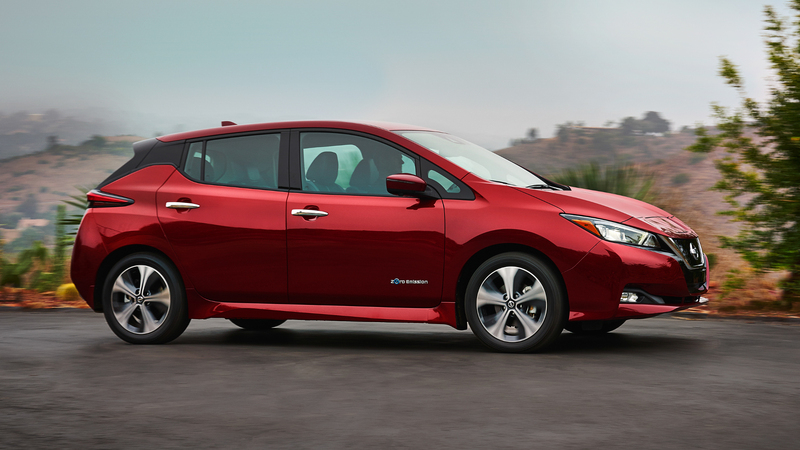 We know that Nissan plans to offer a longer-range Leaf in the near future, but it's not here today. On the other hand, whatever miles you eke out of it should be more fun. The electric motor is good for about 148 horsepower and 236 pound-feet of torque, both significant jumps over the outgoing model. The much-hyped "e-Pedal" one-pedal mode promises smart regenerative braking, essentially mapping vehicle speed solely to pressure on the accelerator. The zero-emissions powertrain still has to lug around about 3,300 pounds of car, but an upgraded power steering rack should make for a more enjoyable driving experience this time around. That is, if you opt to drive it yourself. 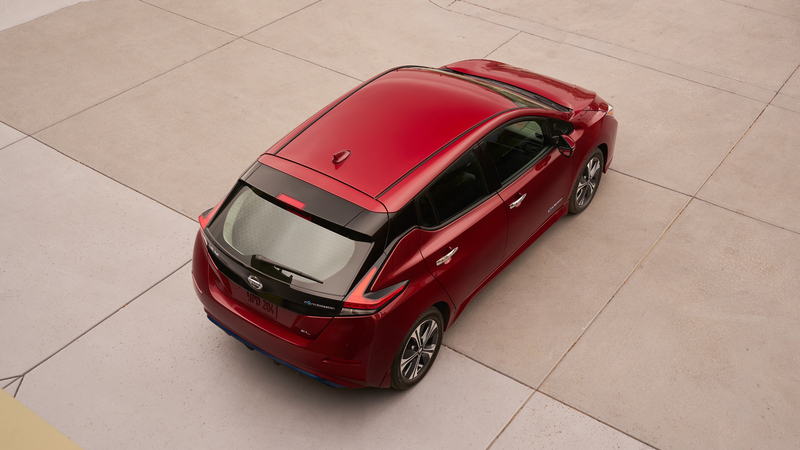 Yes, the 2018 Nissan Leaf will also double as a soft launch of the company's newest autonomous technology, including their ProPILOT self-driving mode for single-lane highway use plus a self-parking function. 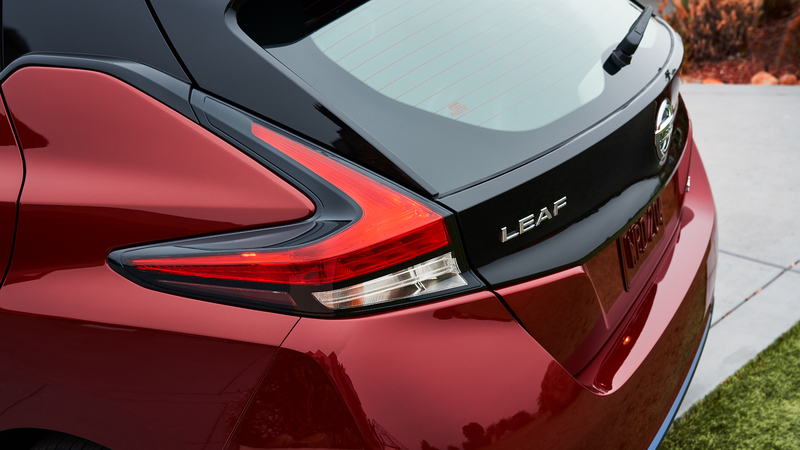 The Leaf also gains a well-earned exterior refresh to match all that fancy tech. 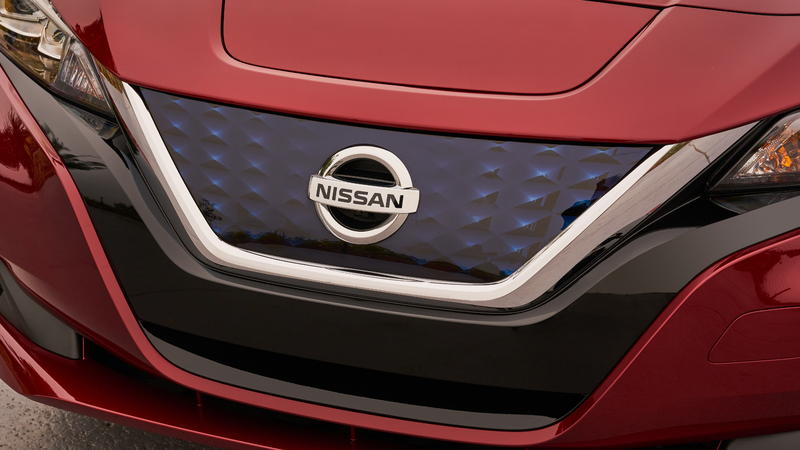 Gone are those massive, sweeping bug eyes; a conservative interpretation of Nissan's corporate fascia takes their place. The whole package isn't quite as daring as other efforts we've seen, but at the same time, that's probably a good thing for the mass market. The overall hatchback shape is similar to the original, if a little sleeker, and a few strategic creases and folds give the new Leaf a sharpness the previous generation sorely lacked. Though most of the press shots show a blacked out roof, a body-colored top will be an option, and a good-looking one at that. 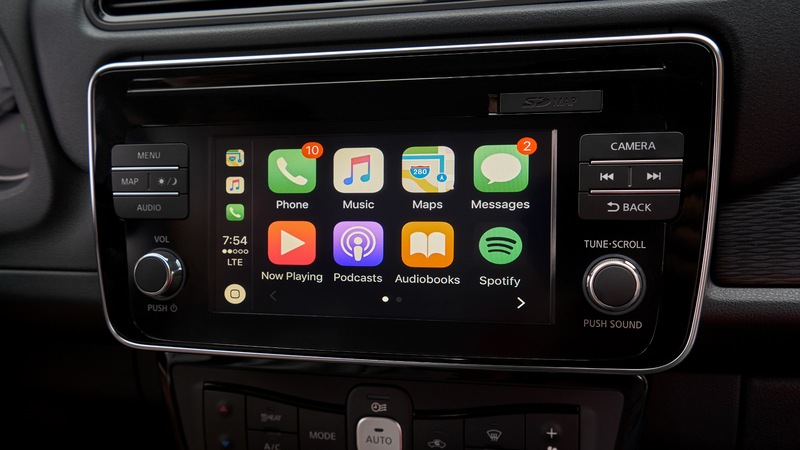 Inside, it's pretty risk-free—a seven inch touchscreen, Apple CarPlay, and a little nubbin of a shifter are the main things differentiating it from Nissan's other small-car offerings. An optional white leather interior does look pretty sharp, however. With the rear seats folded, owners will be able to haul 15 cubic feet of sustainable junk. The only thing Nissan hasn't revealed yet is the pricing, but we expect it to start around $30,000 with incentives, undercutting both the Bolt and the Model 3. Will that be enough? We'll know when the new Leaf arrives in the metal early next year.